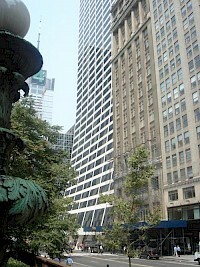 The W. R. Grace Building is a 50-story skyscraper in New York City. It is 192 m (630 ft) tall. 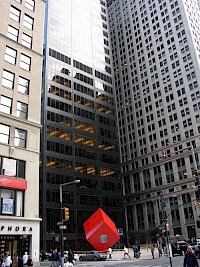 The building was designed principally by Gordon Bunshaft, and completed in 1971. The building was commissioned by the W.R. Grace Company, and was also used by the Deloitte & Touche, LLP formerly Deloitte Haskins & Sells. However, today it is inhabited by several other organizations, most notably AOL Time Warner and Limited Brands. 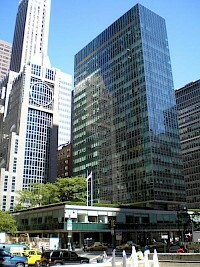 Lever House, designed by Gordon Bunshaft of Skidmore, Owings and Merrill and located at 390 Park Avenue in New York City, is the quintessential and seminal glass box International Style skyscraper according to the design principles of Ludwig Mies van der Rohe as shown at 860-880 Lake Shore Drive Apartments in Chicago. 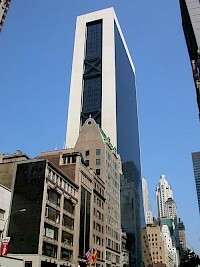 It is the pioneer curtain wall skyscraper in New York City. The 92 meters tall building features an innovative courtyard and public space.